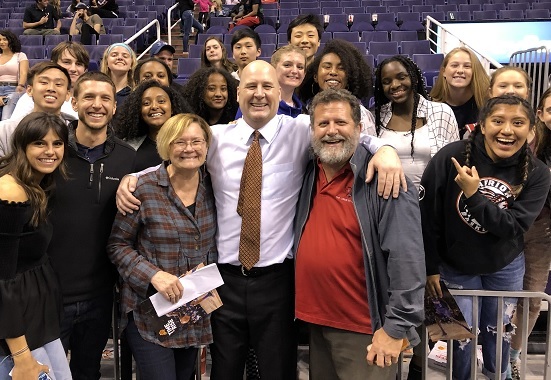 Science teacher Tom Goodspeed along with his wife and Director of our Learning Center, Sheryl, took a bus load of Orme students to a Chicago Bulls/Phoenix Suns game last Monday night. Tom attended high school with Bulls Head Coach Jim Boylen, and was able to obtain visitor passes for the students. After the game they got to meet Mr. Boylen and several of the Chicago Bulls players. It was an exciting sports evening.